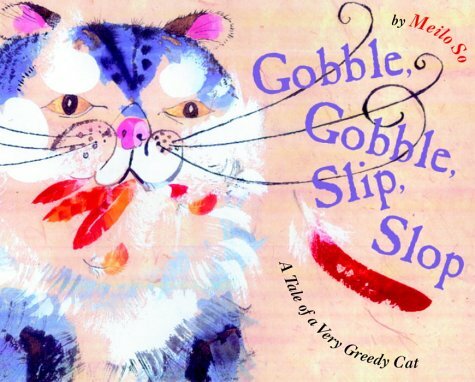 I’m reading aloud to a group of fifth graders soon, and I knew I wanted to start off with one of my sure fire hits, Gobble Gobble Slip Slop by Meilo So. I’ve read this book with all ages and the repetition, gross out factor, and beautiful illustrations win everyone over. The fat, greedy cat who gets his painful comeuppance really strikes a chord with kids, and the the cries of “OH NO! He can’t eat THAT!” as the cat’s snacks get progressively larger are a sure sign that kids are having a great time, even as they squirm in horror. 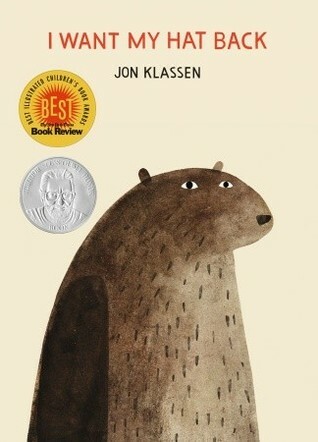 Then I started thinking...I Want My Hat Back by Jon Klassen has the same appeal. Quirky, funny, and with a disturbing “Did he or didn’t he?” ending to it. 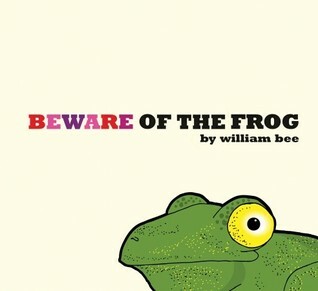 Which led me to my third and final book to read aloud, Beware of the Frog by William Bee. This tale involves a frog, an adorable old lady, some hilariously creepy fantasy creatures with catchphrases like “Nickerty noo”, and a surprise ending that is guaranteed to delight and disturb in equal measure. Since this is a read aloud for older kids, in between the books I’ll have some conversation about what we just read. At the end, I’ll encourage to write their own tales, involving questionable dietary choices, ambiguous endings, and the like. Are there any titles you’d add? And what do you read aloud to kids in 5th grade? September, how did you get here so fast? Oh, yeah, summer reading (Ingrid breaks it down for you, animated gifs and all). And, oh, yeah, I have a new job (which makes another Ingrid link relevant). I’m going from being a storytime all the time librarian to a school services coordinator librarian. It’s been hard to say goodbye to a community I’ve served for four years, but it’s an exciting opportunity, and I’m really looking forward to all the new duties, challenges and experiences ahead of me. How was your summer? And what are you looking forward to this fall?